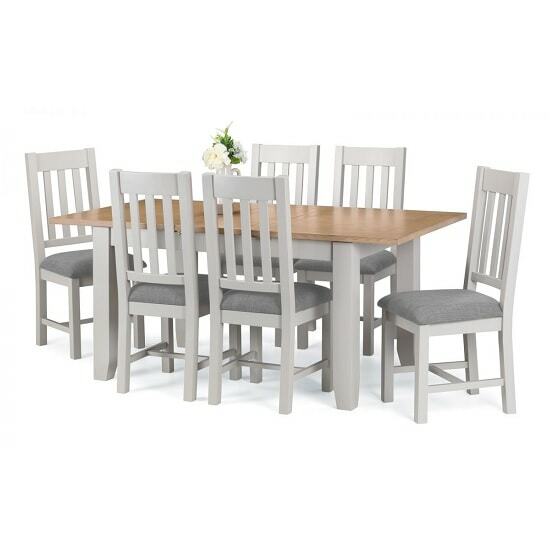 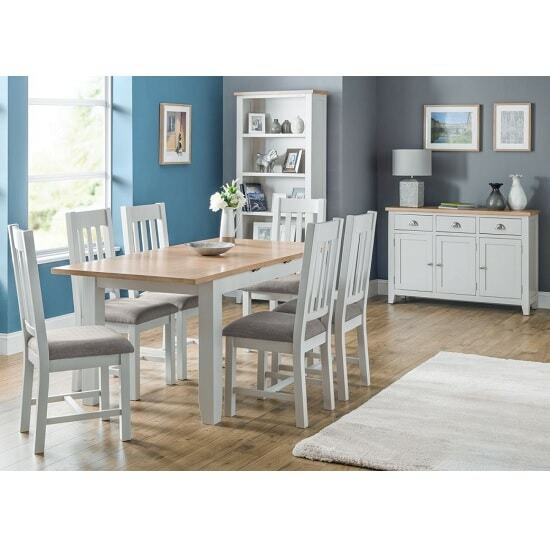 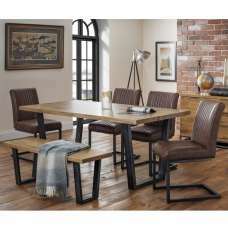 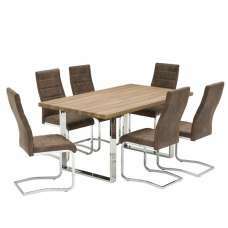 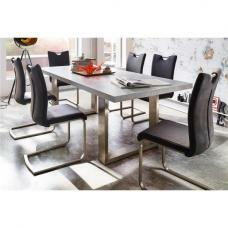 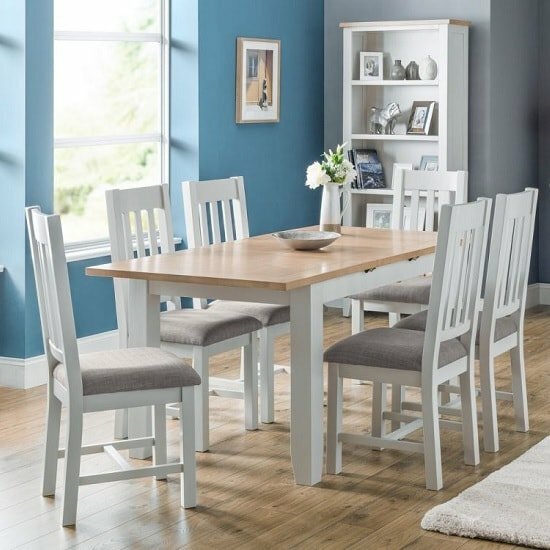 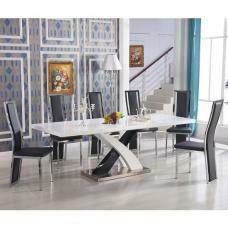 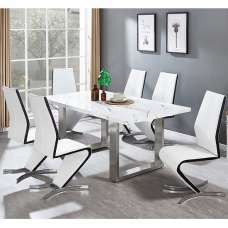 Christie Wooden Extendable Dining Table In Oak Top And Grey With 6 Dining Chairs, will provide ample of space to share dine together with family or friends. 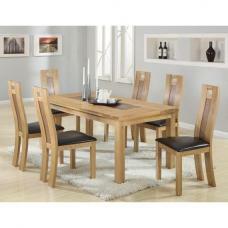 Crafted from a combination of high grade American White Oak solids and veneers. 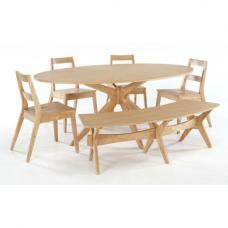 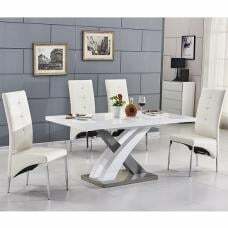 It features 30mm top and a 40cm butterfly extension system which turns the table from 140cm to 180cm allowing 6 to 8 people to dine together. 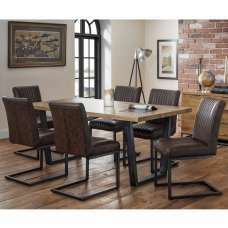 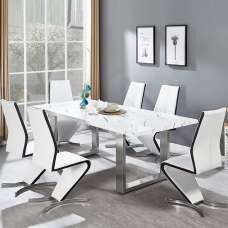 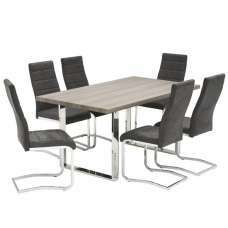 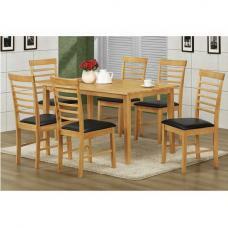 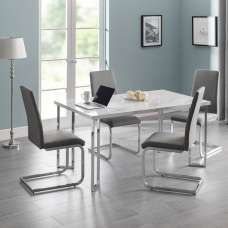 It includes 6 chairs in Taupe linen fabric with wooden frame.